4K resolution, unlocked frame rates, and more. 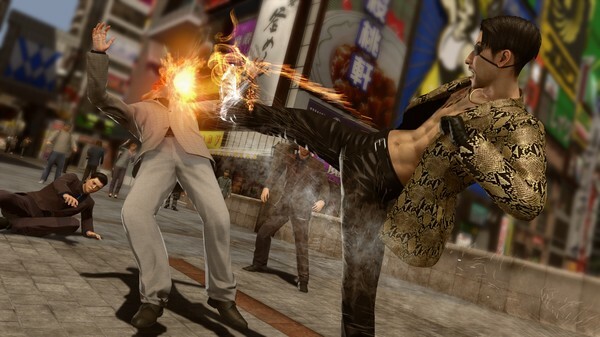 Yakuza: Kiwami 2 will launch for PC via Steam on May 9 for $29.99, publisher Sega and developer Ryu Ga Gotoku Studio announced. The Yakuza 2 remake first launched for PlayStation 4 in December 2017 in Japan and August 2018 in the west. Rebuilt from the ground up, Yakuza: Kiwami 2 uses the Dragon Engine to update one of the series stand-out titles into a modern classic. The PC version includes all the enthusiast features you’ve come to expect: 4K resolution, unlocked frame rates, customizable controls, and robust graphics options. Also new to Kiwami 2 is the ‘Majima Saga’ which features Goro Majima in his own playable adventure revealing events that occur prior to the game. Watch a trailer below. View a set of PC screenshots at the gallery.